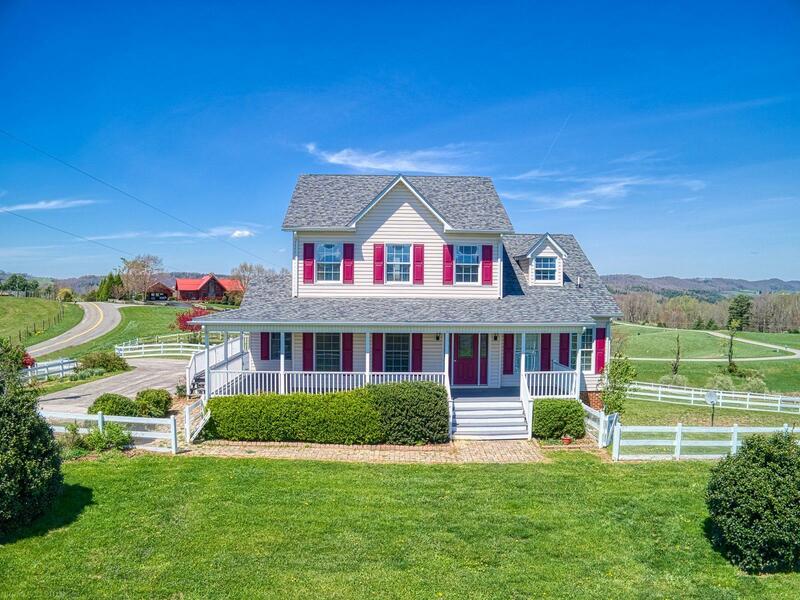 Breathtaking views from the wrap around porch & back deck of this farmhouse style home. 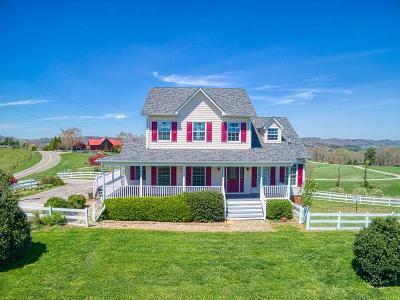 A country setting with rolling hill & mountain views. This home features a main level master suite w/spacious bath including a spa tub, stand up shower & walk in closet. Ceramic tile flooring & hardwood cabinets in the kitchen, hardwood floors in the living room & formal dining room plus a main level laundry room & half bath. Venture upstairs to the bonus room, other 2 bedrooms and a full bath. Full unfinished walkout basement, and a white board fence (some areas have been freshly painted) surrounding the property w/garden space & fruit trees. A special place to come home to, relax & enjoy a peaceful setting! This is a Floyd County special with a new roof.